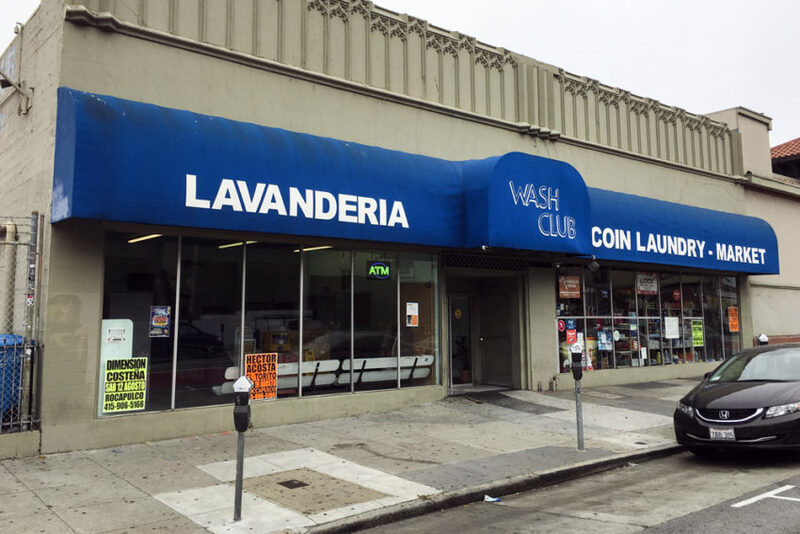 The 75-unit housing project proposed on the site of a “historic” laundromat at 2918 Mission St. was quietly approved last October — without appeals from its fierce opposition, and without any gloating from its outspoken and controversial developer, Robert Tillman. After this and other local publications reported heavily on the project, which had been juggled between the Planning Commission and the Board of Supervisors — including the historical studies, the shadow studies, the lawsuit filed by Tillman — the project was fully entitled last year without a peep from anyone. The five-year battle ended in anticlimax. But last week, the project site that sits on Mission Street between 25th and 26th was thrust into the spotlight again: The developer of the proposed 330-unit development at 16th and Mission made a “best and final offer” to give Tillman’s entitled site — along with the stalled 117-unit project at 2675 Folsom — to the city for affordable housing development, in exchange for approval. Last October, deputy city attorneys met in closed session with the Planning Commission regarding Tillman’s June lawsuit, which alleged that the Board of Supervisors illegally delayed his project. It is unclear what was discussed in the Oct. 4 meeting (the Commission would have to vote to disclose the meeting’s details) — but a week later, the Planning Commission voted 4-3 to push the project through. Technically, the project’s main opposition — the community group Calle 24 — had a month to appeal, which would have triggered a vote by the Board of Supervisors. The two prior times this matter went before the supes, Supervisor Hillary Ronen first delayed a vote on a project pending a study of whether the laundromat building was a historic resource (it turned out not to be), and then later kicked it back to the Planning Commission to assess further shadow studies. Yet after the Commission’s Oct. 11 approval, Mission community groups, which have a reputation for not backing down — on anything — did not appeal. “It was a strategic decision, the basis of which I am not at liberty to disclose,” said Scott Weaver, a lawyer with Calle 24. A building permit was issued in November, very shortly after the appeals period closed. And, on Jan. 11, after it was clear there would be no more opposition, Tillman dropped his lawsuit against the city. So here we are: The land of one controversial developer might get purchased by an even more controversial developer, which said it would give the land to the city in exchange for building its controversial project at 1979 Mission St. But just how possible that is — and whether anyone wants it — remains to be seen. “Strategic decision” — That’s dissembling lawyer-speak for “one is obligated to follow the law” , Mr. Weaver! Per the State Density Bonus Law, Calle 24’s and Hillary Ronen’s opposition to Mr. Tillman’s project was illegal and you had no choice but to withdraw or suffer massive financial penalties. Congratulations Mr Tillman, the rule of law ultimately prevails — even in the Mission! The place is worthy of a historic plaque. I’ll make one to commemorate the 1970s headquarters and incubator of the Mission Model Cities Program where the Mission Childcare Consortium, Mission Housing Development Corporation, Mission Hiring Hall and other groups started. Not to mention a beautiful mural facing the parking lot painted by Las Mujeres Muralistas. May many affordable housing units find their way to this spot to honor what was once there. If supply is constant and demand goes up, price goes up. This project increases the supply of housing, increasing housing competition, and dropping the price. How about actually supporting affordable housing instead of “honoring” it? Guess it’ll be nothing. You win! Good work, Mr Tillman. I hope the “city family” learns a lesson from this. It’s par for the course, I’m afraid. Also not unique to that district either. Even more likely Calle 24’s and Hillary Ronen didn’t want to lose in court thereby setting a precedent for all future developers. There’s no “precedent to be set” as the State Density Bonus Law is crystal clear. Since the Law’s creation in 1979, there have been 6 challenges to it and each has failed, putting the challengers on the hook for all legal fees — which is a considerable and sobering penalty. Accordingly, Ronen and Called 24 were forced to back down, lest they expose themselves and the City to liability in the millions of $’s. I love how we need a shadow study to tell us that a building due north of a school yard will not cast shadows on the schoolyard. This is why Ronen should not be in a position of leadership and it was good news she was not voted president of BOS. And we didn’t even have to dodge that bullet since her ham-fisted “campaign” resulted in her shooting herself in the foot. That vote , and how she handled it, has cemented her position as a lame duck, stripped of power. We’ve now all seen through the inter-locking BS from her, MEDA and Calle 24.